Let me just start by saying that if you have not been watching this series, you’re really missing out on something special. I don’t even watch TV. My life is just way too busy to sit down and watch any shows. But, when it comes to Outlander, I will make an exception. I read the books over ten years ago. And since then, I’ve been in love with the fictional character, Jamie Fraser. When I first heard that Starz was going to air Outlander, I was a bit nervous. I did not want them to ruin my vision of the books. Once I watched the first eight episodes, I was obsessed with the whole Outlander world. I fell in love with Jamie all over again. Sam Heughan is the perfect Jamie Fraser and Caitriona Balfe is the perfect Claire. Many of us Outlander fans have been waiting a long time for Episode 9. 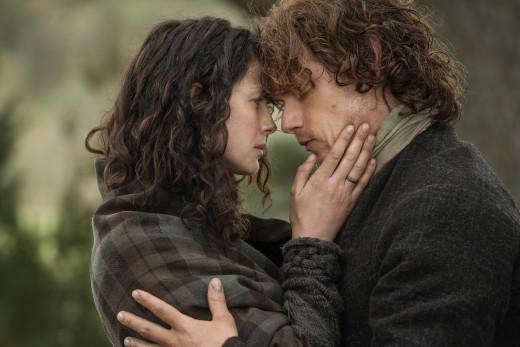 Finally, Outlander Returns! I was literally counting down the days. My family already knows not to bother me (not even breathe around me) when Outlander is on. During each show, I literally stand in front of the screen, soaking in every scene…every word. Oh by the way, I’ve already watched this episode five times since it aired on Saturday! Didn’t I tell you I was obsessed? This episode was from Jamie’s perspective, where he reflected on his life and the choices he had made. “Each step I had taken was a choice…Every day, every man has a choice between right and wrong, between love and hate, sometimes between life and death. And the sum of your choices becomes your life. The day I realized is the day I became a man.” Ahh Jamie…so wise! The rescue was amazing! Just like in the book, Jamie was willing to die trying to rescue Claire. Black Jack Randall once again managed to creep me out. Evil at its best! Gotta give credit to the actor, Tobias Menzies. And immediately, he realized that this was not him. He then broke down and told her how scared he was and what it did to him to see her almost raped by Black Jack Randall. 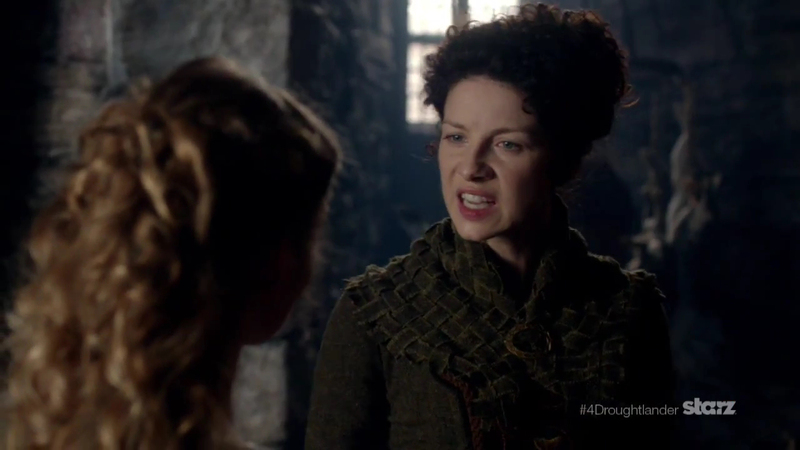 “I came after you with my bare hands and an empty pistol…You’re tearing my guts out, Claire.” Sigh. Oh and can we talk about the spanking scene briefly? I know this is a very controversial scene but here’s my take. This was Scotland in the 18th century. This practice was completely acceptable. Jamie did what he thought was normal. It was the way of the times…the culture. Let’s give both Jamie and Claire some credit. Claire could obviously hold her own against Jamie and showed him that he couldn’t “own” her. 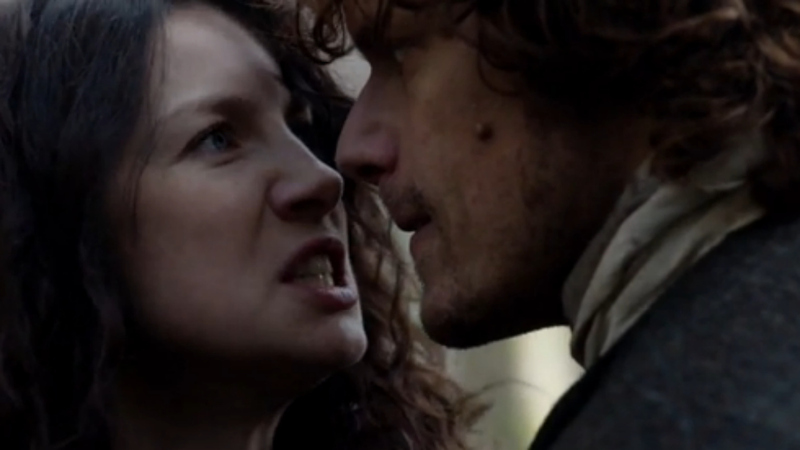 Jamie showed amazing restraint when she hit him…especially in the earlier scene when she slapped him across the face. Back then, women just weren’t allowed to do that. If a woman raised her hand on her husband, I’m sure she would have permanent scars. Whether we agree with it or not, it was just the way it was. I think this scene was handled very well and it did not offend me in the slightest. There was one part I was not too fond of in this episode. I can’t stand Laoghaire and I felt that Jamie had couple of opportunities to tell her that he married Claire because he loved her. Maybe he didn’t want to tell her because he hadn’t even told Claire yet. Maybe he didn’t tell her because he’s just a nice guy and didn’t want to hurt her feelings. But still, I wish he made it clear right then and there that he was not interested in her. But Jamie is Jamie. Claire just needs to put his little girl back in her place. 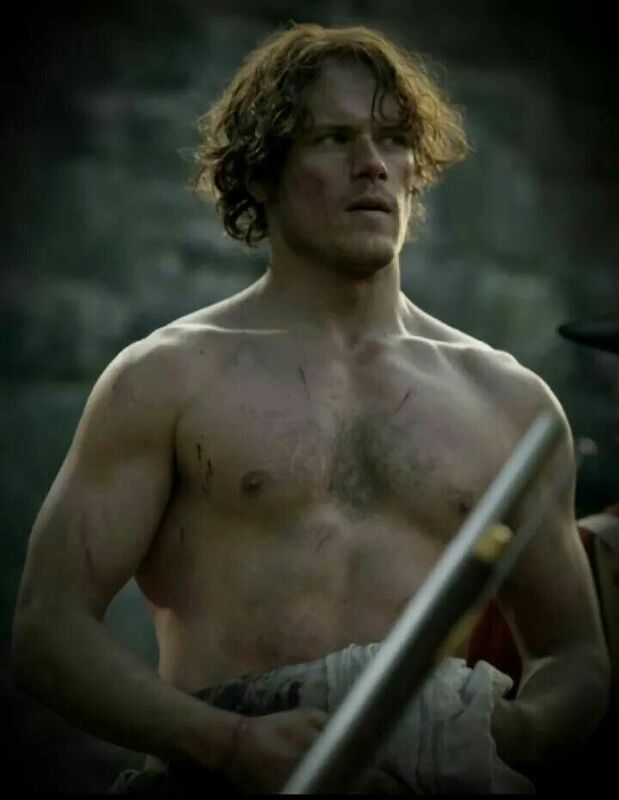 Jamie has grown up to be a man of honor, a protector, a warrior…a true highlander. I can’t wait until Saturday for the next episode! 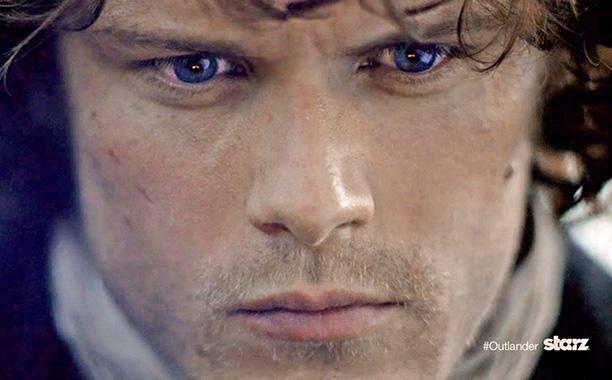 Until this weekend, Jamie Fraser!